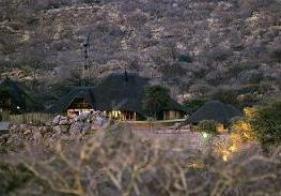 Sney River Lodge is situated a mere 55 km from Okahandja on the Gross Barmen road. The Lodge is set in the heart of a 14.000 hectare game farm boasting 23 species of game, including giraffe, zebra, blue wildebeest, black wildebeest, eland, impala, blesbuck, springbuck, leopard and cheetah. 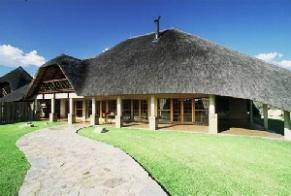 No costs were spared to make the Lodge as luxurious as possible and to give guests a feeling of exclusivity. Luxury chalets are set less than 40 meters from a floodlit waterhole giving guests the opportunity to view game at close range from the comfort of their chalets. Activities such as walking trails and horse-back trails are offered to guests wanting to explore the African bush in a more adventurous fashion. 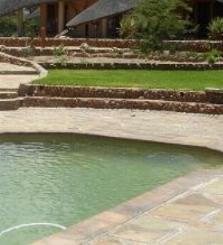 An experienced guides accompany guests to the hot water springs on the farm, the nearby Swakoppoort dam and trails on the game farm to view game safely at close quarters. An Arabian stud with world-class horses hailing from a 200 year old Polish-Russian bloodline is situated on the farm. Arabian ancestors were bred to travel vast expanses of barren land and they are known for their high sensitivity to the feelings of human beings. This combination makes them extremely suitable for the equine activities on offer at Sney River.